Speaking at the Code Media conference in California today, Apple’s head of content Eddy Cue announced that the company’s upcoming TV show, Planet of the Apps, will arrive exclusively on Apple Music this spring. In case you don’t care for video, here’s how the show works: Developers have 60 seconds to deliver an ‘escalator pitch’ to the advisors, who will swipe left or right to indicate their interest in the idea, Tinder-style. Once an app has made it through the first round, the developer will get to work with an advisor to firm up plans for turning it into a business, while also receiving guidance from people at Yelp, Uber and other major tech firms. The final round will see the developers pitch their proposals to investors from VC firm Lightspeed Venture Partners, which has previously pumped money into Snapchat, Giphy, Nest and TaskRabbit. The winners stand to receive millions of dollars in funding and will have their apps featured in the App Store when they launch. While the show’s concept sounds intriguing, it’s also interesting to note that Apple is betting on its music streaming service to distribute the show. Cue said that he believes there’s merit in that idea because Apple Music now has more than 20 million subscribers worldwide, which means the series will be available globally without the hassle of striking licensing deals with TV channels and streaming services. That also signals that Apple has big plans for its music service in the future. Planet isn’t the first show in the pipeline for Apple Music: It’s also getting Carpool Karaoke, a musical show based on the segment from The Late Late Show with James Corden, that features major artists and celebrities crooning hit songs in a car. 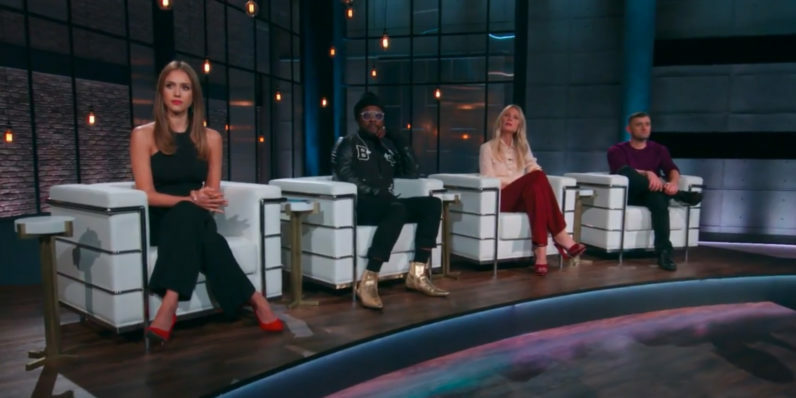 Will Smith, Metallica, Alicia Keys, John Legend, Ariana Grande, Seth MacFarlane, Chelsea Handler, and Shaquille O’Neal are slated to appear in the first season of the show when it arrives later this year. We’re trying to do things that are unique and cultural. … We think we have a real opportunity in the TV space to do that with Apple Music and shows and the things we’re trying to do aren’t being done by anybody else. … So yes, to the extent if we wanted to do what everybody else is doing, then you’re right, we might be better off buying somebody or doing that. But that’s not what we’re trying to do. We are trying to do something that’s unique, takes advantage of our platforms and that really brings culture to it.